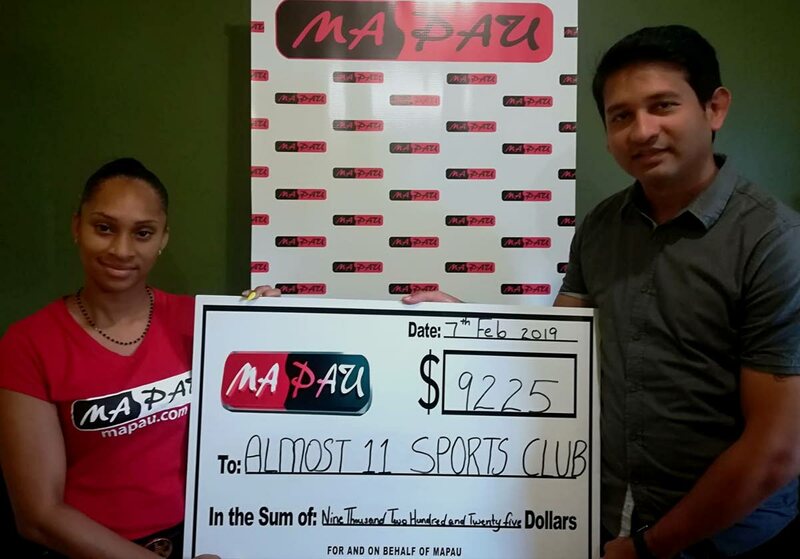 Ma Pau representative Kerry-Ann Thompson, left, presents a cheque to Almost 11 Sports Club executive member Ravi Johnson. MA PAU has come out to bat for Almost 11 Sports Club for the 2019 season. Ma Pau has donated $9,225 to go towards providing uniforms for its cricket team. Ma Pau said it understands the importance of sport to society because it helps prove the importance of rules. “Without rules, games such as cricket are not playable. In the same context, society cannot function without having rules and regulations in place. Likewise, the activities of Ma Pau operate with rules and regulations and as such willingly support an organisation who similarly support adherence to rules,” Ma Pau said. Reply to "Ma Pau bats for Almost 11 cricket team"